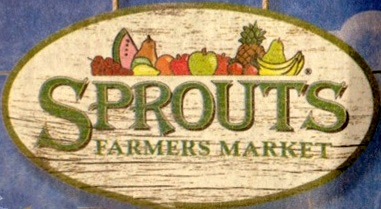 Sprouts publishes a weekly sales ad every Wednesday. The sale items are valid from Wednesday to Wednesday. Therefore, every Wednesday Sprouts offers “Double Ad Wednesday Deal”, which allows you to take advantage of the sales ad from the previous week & the upcoming week. Essentially there are twice as many sale items on Wednesdays. View all the grocery ads. The great part about the Sprouts Double Ad Wednesday is that you do not need to do any additional work. Just shop and the extra savings will automatically be added at the register. Read the full Sprouts Coupon Policy. They do accept coupons at their stores, including manufacturer coupons! They do not accept coupons for items not carried in their store. You cannot combine their store coupons with manufacturer’s coupons. They don’t double or triple the coupons. They do not take competitor coupons. They do not give cash back for overages. The customer is required to pay any tax unless otherwise stated on the coupon. CityMarket is part of the Kroger Family and is very similar to King Soopers. Here is the coupon policy based on the CityMarket stores in Grand Junction, Colorado. This is valid as of October 2011, but remember the manager always has the final say. CityMarket Doubles Coupons up to $1.00 (exception is digital coupons). Coupons over $1.00 are redeemed at face value. **We are lucky to have this policy at our store! Only 4-like coupons can be used per transaction. **I like this policy it keeps shelf clearers from taking all of the good deals. There is a limit of one electronic or paper manufacturer coupon per item. The opportunity to stack is no longer available. A digital coupon and manufacturer paper coupon may not be combined on the purchase of a single item. If you have loaded an electronic coupon to your CityMarket Reward card, then the digital coupon will apply before the manufacturer paper coupon. You must use a CityMarket reward card to receive sale prices. City Market reward card customers receive Loyal Customer Mailings that include coupons tailored directly to the products they buy most. **They offer the best rewards via mail than any other store. I always receive coupons for FREE products! Fuel Rewards – Customers can save 10 cents per gallon at CityMarket Fuel Centers and at participating Shell locations in the area when they earn 100 fuel rewards points ($1 = 1 point). Digital and store coupons do not double. **I suggest only loading digital coupons that are valued at $1 or more and use paper coupons for anything less than $1 so that they will double. A limit of 150 digital coupons can be loaded onto your reward card at one time. A digital coupon cannot be removed from a transaction once it is redeemed. **If you want to use a MQ coupon and not a digital coupon make sure the cashier scans the MQ coupon first before you swipe your reward card. Printable coupons are only accepted if they scan properly. “Free” product printable coupons that have no purchase requirement are not accepted. Coupons will be rejected if they appear out of proportion, blurry, appear to be altered or are obvious duplicates. Legitimate print at home/printable coupons are never copied, sold, or traded. Nearly all coupons are “non-transferable,” meaning they should not be photocopied or scanned and distributed to others. City Market does not have an official coupon policy listed online, but they do have a digital coupon policy. Read it HERE. View the Weekly CityMarket Deals or learn how their Sales Cycles Run. Albertsons Stores are not all created equal. The Albertsons store that I post about in this blog relates to the Albertsons Market LLC, which covers Arkansas, Arizona, Colorado, Florida, Louisiana, New Mexico, and Texas. The deals and prices can very from state to state and store to store; it depends on the manager and cashier. I feel that Albertsons has the highest prices out of all the grocery stores. However, they do run some great deals. I recommend only shopping here for the deals and do your normal grocery shopping else where. This is the coupon policy based on the Grand Junction, Colorado Albertsons on Broadway. Albertsons does NOT have a store reward card. You will automatically receive all sale prices. They do not double coupons everyday like Safeway or City Market. Periodically they will have an ad in their newspaper insert which states it is a double or triple coupon week (read the fine print to see how much they will double up to). They do not like to take more than 3-like coupons, but it is dependent upon the cashier not their computer system. Albertsons does not allow coupons that exceed the value of the item you are purchasing. If a coupon is for more than the value of the product, their system will not let them markdown the coupon value. One of 3 scenarios might happen if you present them with this situation. 1. They will refuse to take the coupon. 2. They can markup the product to allow you to get the full value of the coupon. 3. They will give you the face value of the coupon which results in an overage. It is dependent on the cashier. Albertsons will occasionally put out a $10 of a purchase of $100 or more. The $100 amount is after all coupons and discounts have been applied. If you bring your own bag they offer a $0.05 discount per bag. 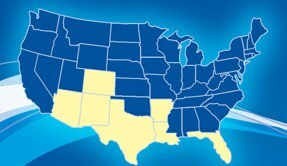 View the Weekly Albertsons Deals or learn how their Sales Cycles Run.